Abby Johnson’s life changed dramatically and forever Oct. 6, 2009. That was the day that she witnessed her first abortion as director of a Planned Parenthood clinic and resigned from the largest abortion corporation in the nation and became a pro-life activist. She tells her story in a new book, “unPLANNED,” this month – just in time for the 38th anniversary of the Roe v. Wade decision. What changed her mind about abortion, ultimately, was seeing on an ultrasound screen a 13-week-old baby fighting for its life in the womb – only to lose that battle to the abortionist whom she was assisting. Not knowing where to go, Johnson turned to a local pro-life resource group. She explained the events that she had witnessed and swore that she would begin to advocate for life in the womb, instead of destroying it. Even though she had not intended on being a public figure, God had different plans. When Planned Parenthood found out about Johnson’s change of heart, they were frightened that others would hear her story and then change their minds on abortion. Their defense was to silence her with a temporary gag order and eventually take her to court. They also decided to inform the media of their gag order. Since her departure from Planned Parenthood, Johnson has been traveling the country sharing her story and motivating others to continue the pro-life fight. She also works on projects for the national 40 Days for Life team. She lives in Texas with her husband and daughter. “unPLANNED” is more than a personal story about abortion. It’s also a story of spiritual transformation. As leaders of statewide and regional grassroots organizations, we wanted to inform you that we are working hard to educate and inform voters across the state about the Texas Speaker of the House race. The conservative grassroots mandate of November has been followed with great voter interest in who leads the House chamber for our fine state. Texas officials engage in Gestapo-like tactics to silence your speech! We’re fighting back! The calls to replace moderate Republican Joe Straus as Speaker of the Texas House are reverberating across the state. Straus and his friends are growing desperate to hang on to the powerful Speaker seat, but your calls to oust him in favor of a true conservative are making a difference. 1. 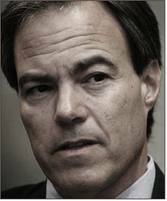 Joe Straus is beholden to Democrats; he was selected by 65 Democrats and only 11 Republicans. 2. Joe Straus is a supporter of Planned Parenthood (which in 2008 gave him $1,000) and the National Abortion Rights Action League (NARAL), which gave him a 100 percent approval rating in 2007.